In an absolute and deliberate attempt on the part of the Ted Baxter sockpuppet media to smear #OccupyWallStreet protestors and the OWS movement itself, there seems to be an absolute insistence on portraying its participants as the prototypical dirty hippie. Moreover the delusional, wayward idealized dupe. 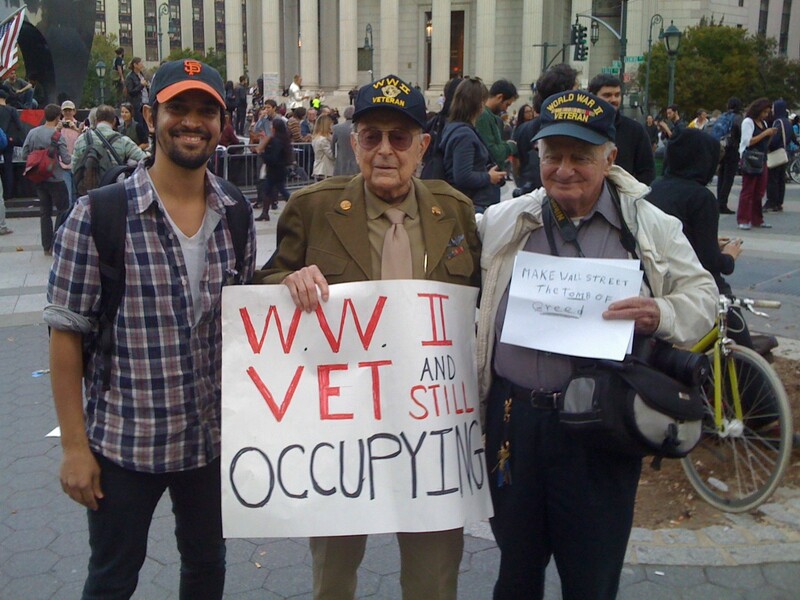 I ask you, do these WWII vets look like hippies to you? They’ve no interest in the causes of revolt, grievances, nothing. And what’s funny is that most media types are victims of a hyper-globalization that will one day ruin them as well. So what are they so dismissive about? It’s like the guy in the back of a sinking boat laughing at the captain. ← LIONEL PODCAST: Face It, You Know Nothing About #OccupyWallStreet Or Anything For That Matter.